Working Hard So You Don’t Have To! The Mark Wilson’s Better Used Cars buying team has connections all over North America, and can help you find exactly the custom car that you are looking for, if we don’t have it already. Our 50+ years in the auto industry has allowed us to form relationships with suppliers and has made us able to acquire almost any vehicle you may desire. We are experienced in import-export procedures between Canada and the USA, and can easily, quickly, and efficiently bring you the vehicle you need. Please provide as many details as possible to help us find the car for you! 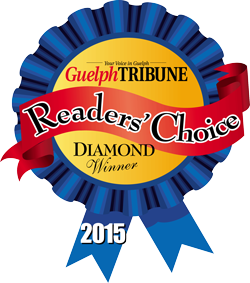 Mark Wilson’s Better Used Cars in Guelph has many handy tools to help shoppers find the perfect vehicle. Vehicle Finder is just one of them. Shoppers can enter vehicle criteria for any car they are specifically looking for, and we will find it. We are more than just a dealership, we are used car specialists and our inventory goes far beyond what we have on the lot. Shoppers looking for a great used car in Ontario can count on our dealership providing the best service, as rated by our customers. 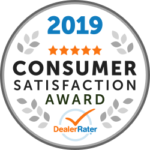 To see real customer reviews, simply click on the Dealer Rater logo below, or Google our dealership and check out the reviews that we have on Google+. Our customer base is large, and customers from all over North America have good things to say about us. Our staff is dedicated, driven, and passionate about cars, and our quality of inventory reflects this attitude as well. Staying on top of industry trends is our specialty, and when the market wants certain vehicles, we source them. Being a leader means being innovative, and our dealership delivers on that commitment. If you or someone you know is looking for a great Used Car in Ontario, give us a call!